There has been a recorded increase in the number of cancer patients in the region and close to 80 per cent of these find out when the disease is in advanced stages. Although the signs and symptoms of the disease are still not well-known in many communities, there have been tremendous efforts to sensitize people and train medical practitioners in early identification of cancer cases. One of the trainers, Dr. Abrahams Omoding, a Specialist Medical Oncologist with the Uganda Cancer Institute says that cancer now kills more people than HIV/AIDS, Malaria and Tuberculosis combined. 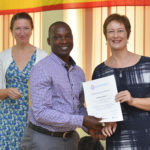 It’s against this background that the East African Development Bank (EADB) in partnership with the British Council and the Royal College of Physicians embarked on training of medical practitioners in Uganda. One such training which has been on-going in Soroti, Eastern Uganda came to a conclusion this week. It is part of a medical training programme that EADB is carrying out across four East African countries aimed at curbing the increasing dangers of Cancer while also sensitizing communities in these countries. EADB’s aim is to train 600 medical professionals within a period of four years, to specialize in the treatment of cancer and neurological disorders. This is the third training taking place in Uganda. It follows similar trainings that were held at St. Francis Hospital, Nsambya and at the Uganda Cancer Institute, Mulago in 2016. Other trainings have also taken place in Kenya and Tanzania. The programme continues to focus on early detection, research and treatment of cancer and neurological disorders especially in communities where access to qualified professionals remains a challenge. “This course is key in down staying late cancer detection. By training the doctors on the most important information on the signs and symptoms of cancer, we shall improve the ability to identify cancers at an early stage.” said Dr. Omoding. Vivienne Yeda, the Director General of EADB reiterates that the bank’s major objective is to upgrade the ability of the target group of physicians to be able to better manage the patients with common neurological disorders. 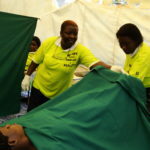 “We are receiving positive feedback from the doctors who have so far taken part in the trainings. Through these doctors, we are surely having an impact. The fight against cancer should be taken up by all of us and as EADB we shall continue to train doctors until we meet our target of training 600 medical practitioners in four years.” Ms. Vivienne Yeda added. The programme has already registered impacts for some doctors who have taken part in the medical training. Dr. Jacinta Abarau Ojia was able to detect cancer in her uncle’s at an early stage and she was able to put him on medication. Doctors who attended the medical training programme in Soroti were in agreement for an increased need of such trainings across the region. 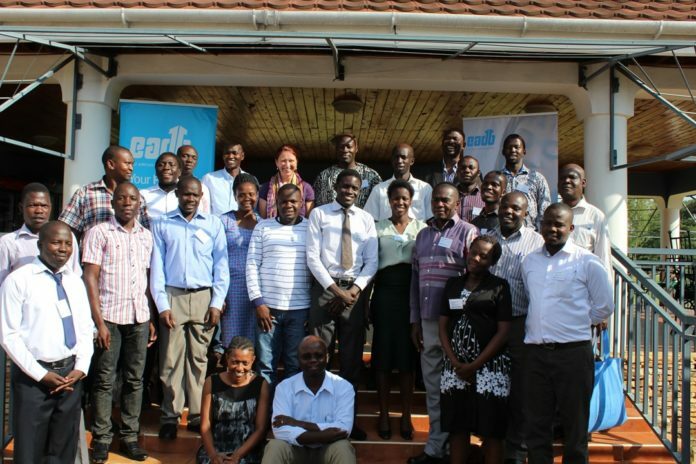 “I have learnt a lot of new things and through this training, I will now be able to look at medical cases from a different aspect so as I can be able to diagnose my patients with utmost surety.” said one of the doctors that took part in the just concluded medical training in Soroti. Non Communicable Diseases, are not passed from person to person. They are of long duration and generally slow progression. Non-Communicable Diseases (NCDs) and their risk factors are an emerging problem in East Africa although the focus has been directed to infectious diseases to a greater extent. EADB is thus extending a supporting arm so as to raise awareness of the severity of NCDs. These diseases are driven by forces that include ageing, rapid unplanned urbanization, and the globalization of unhealthy lifestyles. For example, globalization of unhealthy lifestyles like unhealthy diets may show up in individuals as raised blood pressure, increased blood glucose, elevated blood lipids, and obesity. These are called ‘intermediate risk factors’ which can lead to cardiovascular disease, a NCD. All age groups and regions are affected by NCDs. Very often, these illnesses are associated with older age groups, but evidence shows that 16 million of all deaths attributed to NCDs occur before the age of 70. Of these ‘premature’ deaths, 82 per cent occurred in low- and middle-income countries. Children, adults and the elderly alike are all vulnerable to the risk factors that contribute to Non-communicable diseases, whether from unhealthy diets, physical inactivity, exposure to tobacco smoke or the effects of the harmful use of alcohol.